Silverback Development has secured a $43.1 million construction loan from Melody Capital Partners for the development of the firm’s planned 29-story luxury condominium building at 67 Livingston Street in Brooklyn Heights, Commercial Observer can first report. “This capital from Melody enables us to move forward with construction on a project that will help meet the strong demand for new condominium residences in Brooklyn Heights,” Silverback Founder and Managing Principal Josh Schuster said in prepared remarks. A spokesman for Silverback declined to comment further on the financing but said the deal was not brokered. The proceeds of the loan will be used to convert the former student housing dormitory into a luxury residence comprised of 23 full-floor condos, most of which will be two- and three-bedroom units priced in the $2 million to $3 million range, The Real Deal reported. The roughly 42,000-square-foot building, located between Court and Clinton Streets, is one of the tallest in Brooklyn Heights and sits just a block away from Brooklyn Borough Hall, with access to five different subway lines. This marks Silverback’s second condo project since the firm was founded last year and is its first venture in Brooklyn. The firm has a current pipeline of projects valued at more than $2 billion, according to Schuster. ”We are strong believers that the project at 67 Livingston will create a differentiated product in the most desirable residential submarket in Brooklyn,” said Melody Capital Managing Director and head of real estate investments, Eric Tanjeloff in prepared remarks. Glory Capital bought the building from the Jehovah’s Witnesses‘ in 2007 for $18.6 million and placed it on the market in June 2015 for $40 million, CO reported at the time. Silverback acquired the property from Glory Capital for $28.6 million in January 2017. Schuster’s partners in the acquisition included a group of Great Neck-based investors, among them Mark Neuman’s family office, according to The Real Deal. 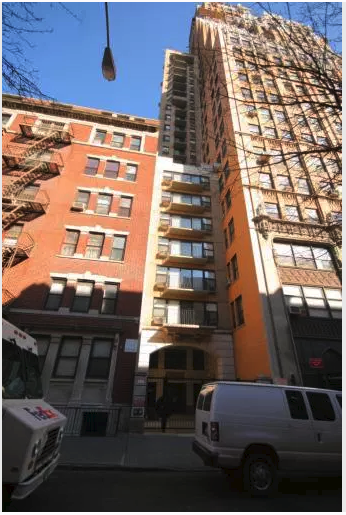 After the building, built in 1987, was acquired by Glory Capital, New York University leased it and converted it for graduate student dormitory use, according to CoStar. Three years later, The Art Institute of New York City signed a five-year lease for the entire 26-story building, where it consolidated its student housing, as CO previously reported. Tanjeloff did not immediately return a request for comment on the deal.